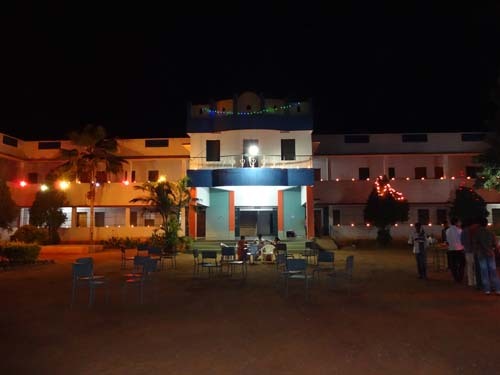 Before any formal PN was started in the Andhra Region, a group of candidates, called “Jesuit Seminarians” were studying at Andhra Loyola College (ALC) under the care of Fr. Jayabalan, from 1979 to 1982. 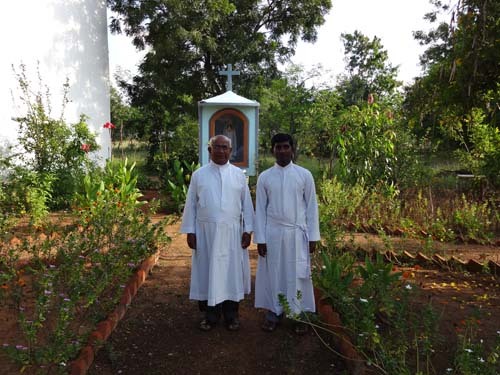 “Arunodayam” the first Pre-Novitiate of the Andhra Region was started in 1980 at Loyola High School, Vinukonda with Fr. John Joseph as its first Director. The PN stayed in one of the wings of the multi-purpose hall. They had their classes in a hut and meals were served along with students in the Boys’ Hostel dining Hall. In 1983 when the PN building was completed at Suryapet, Arunodayam was shifted to Suryapet. It continued till April 1991 Meanwhile, Candidacy was started for students who had completed X Std, to do their Intermediate at ALC from the year 1980. They were accommodated in the hostel and a priest was taking care of them. 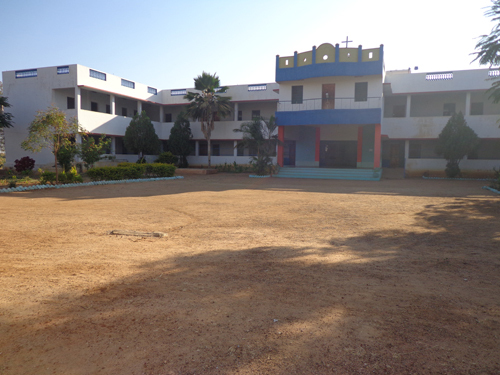 In 1988 Britto Hall was built and the Candidates were accommodated with a help of priest or a scholastic. 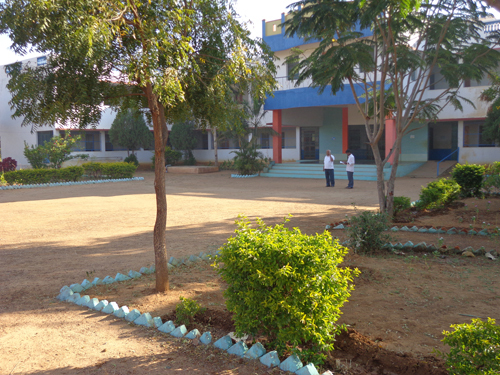 Since the number of students coming out of the Intermediate were few, PN for the Telugu Medium boys was visualized to give a good orientation and an English background before their intermediate. So the candidacy for X students was started at Xavier Hall, Vinukonda in the school campus in 1989 under the directorship of Fr. S. Antony and it remained there till 1991. In 1991 Arunodayam (pre-novices) and Xavier Hall (Candidates) were clubbed together at Jeevalavam Parish, Fr. Arakal as in-charge. In 1992, Arunodayam (with plus two Students) as shifted to Darsi Parish with Fr. Peter Daniel as its Director. Meanwhile the candidacy called Ushodayam with X students remained at Jeevalayam with Fr. K. Joji as its Director. This bifurcation remained there till April 1996. 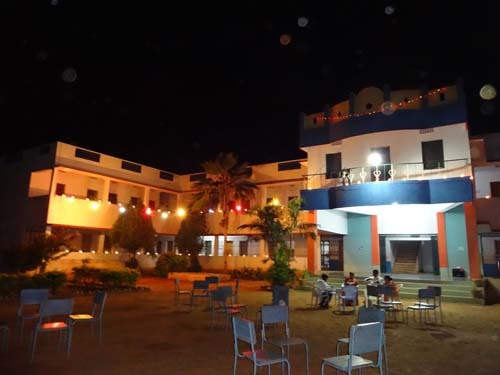 Again it was shifted to Loyola High School Vinukonda where both the Pre-Novices and the Candidates were combined together under one directorship of Fr. Arul Joseph. This combined set up continued till April 1998. In June 1998, all the three streams of Candidates (X completed), those who studied intermediate and the ones who had completed degree studies were clubbed together and shifted to Karimnagar with Fr. Stanley as its director. This setup continued till 2001. 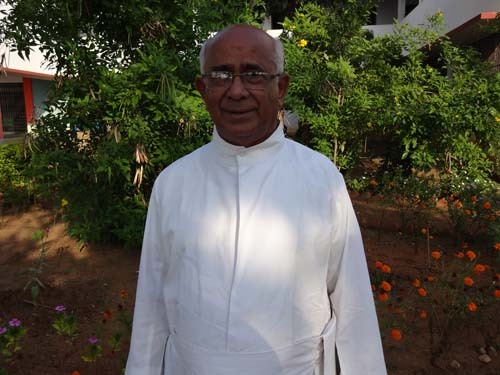 Having gone through the extensive findings of the PN commission, the then Provincial Rev: Fr. Joseph Sebastian had decided to build a separate structure for the PN at Hindupur under the supervision of Frs.Karunaidass and Balaswamy. It was indeed a red letter day of the AP Jesuits’ dream of having a separate Pre-Novitiate on 14th November, 2001 by the inauguration of the new and partially independent setup of the Pre-Novitiate at Hindupur with Fr. S. Rau as its director. Arunodayam is the official name of our Pre-Novitiate. It is situated in Hindupur. Hindupur is in Anantapur district of Andhra Pradesh.Presently we have Fr. 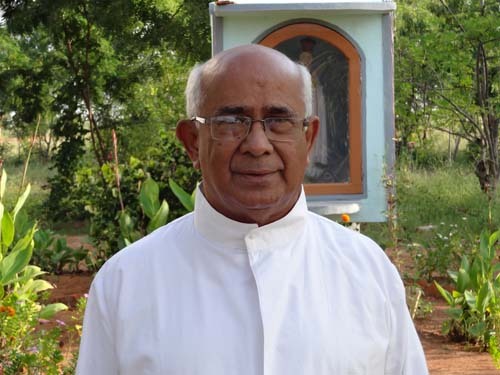 Stanly, a senior and well experienced Jesuit as its director.We, in Andhra Province admit boys who have completed intermediate. The others who have completed their under graduate and post graduate are also admitted to the pre-novitiate. This year, 2013 June to 2014 April, we have 11 pre-novices. Out of the 11, eight are from different districts in Andhra Pradesh. Two are from Tamil Nadu and one from Mysore, Karnataka. We are willing to take any worthy candidate from any state. We would love to have mixture of cultures. Here we give thorough coaching in written and spoken English. Since all of them come from vernacular medium, they need a solid foundation in English. Of course besides that they are told about our own Society, its origin, its saints and its major works. The non-Telugus are taught Telugu. All of them are expected to read books. The director meets each one individually every month. The co-director takes classes in English and Telugu. The co-director maintains discipline and looks after the other needs of the house. 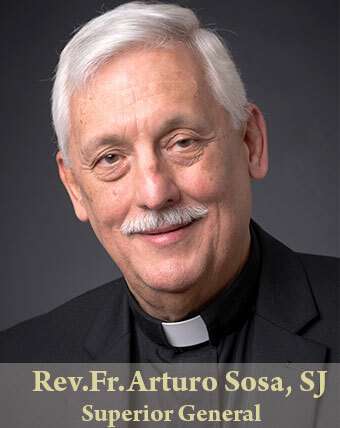 The pre-novices have regular manual works, both in the morning and in the evening. They go out every Sunday afternoon to meet the people in the nearby villages. They have cultural night every Saturday after supper to exhibit their talents. They play volley ball and basket ball regularly. During Christmas vacation, they are sent home for about 10 days. We have a very good atmosphere here. The climate too is good.